You know the farm-to-table movement has gone mainstream when Subway visually implies their ingredients come straight from a charming local farm. 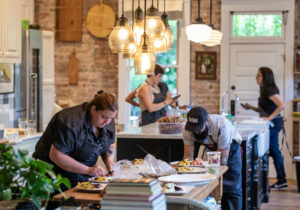 So what began as—and continues to be—an important philosophical stance for small independent restaurants across the country has become a marketing tool for corporations who most assuredly don’t walk the walk. But there’s a new movement afoot that won’t be quite so easy for the corporate money-grubbers to glom onto because it’s way too hard to lie about and it’s just flat too much trouble. That trend is foraging—going out into the wilds of nature and finding good things to eat there. Hank Shaw may have kick-started the craze here in the states in 2011 with the publication of his book “Hunt, Gather, Cook: Finding the Forgotten Feast,” but some European and American chefs who treasure the bounty to be found in their own backyards have been foraging for decades. 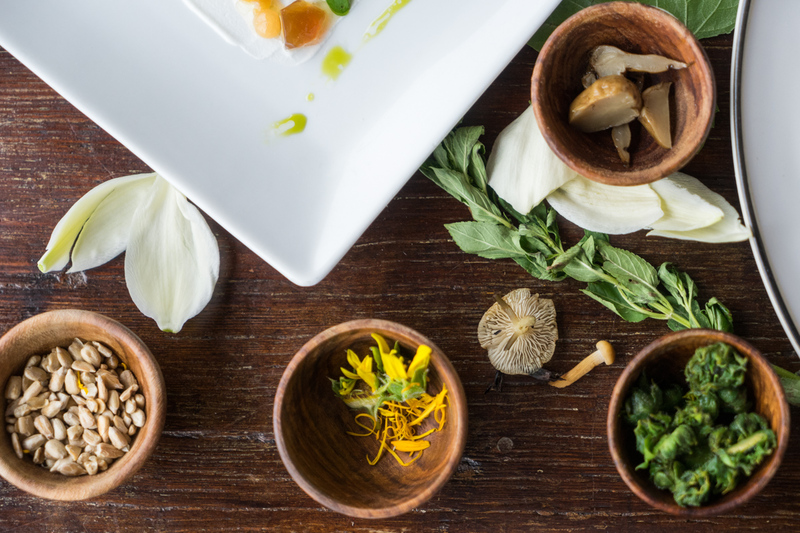 In fact, Danish chef Rene Redzepi (of the now legendary Noma in Copenhagen) has made a religion of appreciating the beautiful, delicious edibles that are all around us. If the farm-to-table philosophy is based on eating what’s in season, foraging is that idea squared. You gather what you can find when you can find it, period. 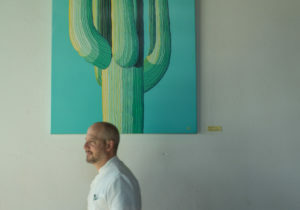 Brian Konefal, chef-owner of Coppa Café in Flagstaff has come to appreciate the rigidly seasonal aspects of foraging since he and his wife Paola Fioravanti opened the café in July 2011. In those early days, he gathered dandelions from his own backyard to use in a spring salad and placed juniper sprigs on every pretty pat of butter, sometimes creating a juniper emulsion for something exotic such as a braise of wild boar. But his foraging expeditions that first year were decidedly limited. Then, a few years ago, Konefal had the good fortune to meet Mike Dechter, a local who worked for the Forest Service and had earned a bachelor’s in ecology, as well as a master’s in environmental management. Dechter’s wife brought her husband to Coppa for a special mushroom dinner on his birthday, and the two like-minded men soon became fast friends. 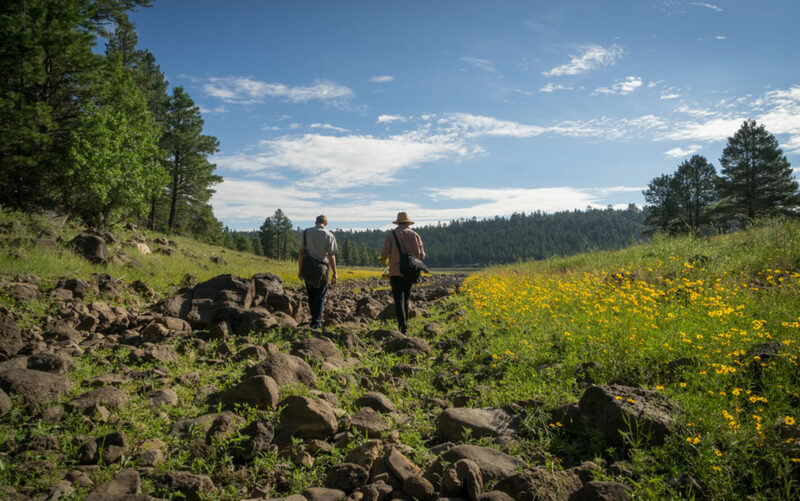 Now Dechter, Coppa’s sous chef Matt Dulin and a handful of other forage-fanatics help Konefal gather the local bounty he routinely uses in the restaurant as a delicious expression of all that is indigenous to Arizona. 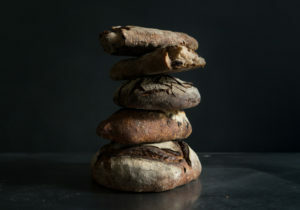 “It takes a community,” he admits, adding that he’d love to go out and forage every single day—the way he says some of the “big dog” chefs around the country do—but he is governed by the time constraints that come with being the chef-owner of a small restaurant. As it is, he manages to scout for ingredients one morning a week and go back for another half-day to gather what he’s discovered. 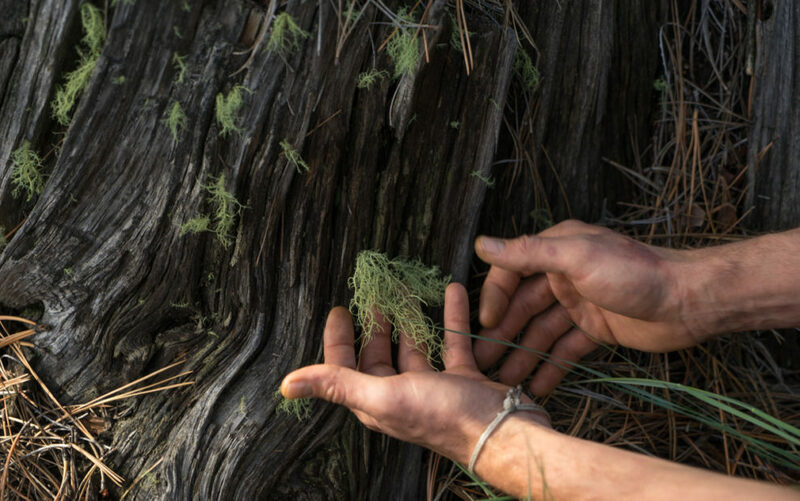 Foraging, Konefal says, keeps him from staying “buried in the kitchen, cooking food that is written down.” In his ventures out, he not only gets a soul-satisfying reconnection with nature, but also the inspiration to create new dishes that will showcase Arizona’s unique and often obscure ingredients. 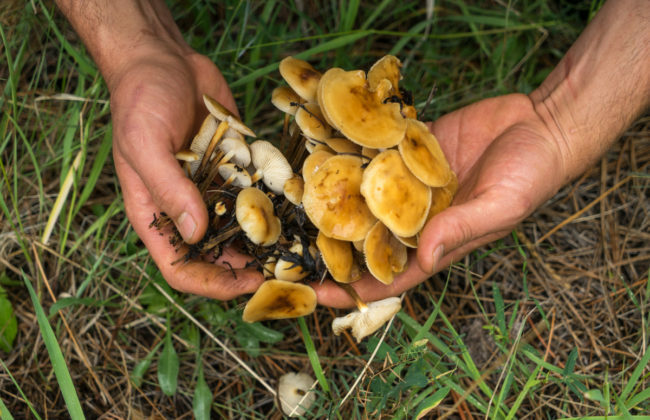 He gathers so many varieties of mushrooms, for example—giant puffball, lobster, oyster, walk-in-the-woods, wood ear, morel and amanita caesarea (his favorite)—that he can (and does) build an entire multi-course mushroom dinner around them. 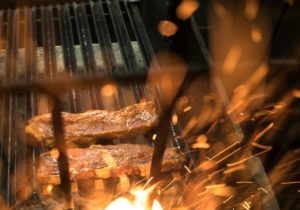 Konefal also offers a nine-course, $95 tasting menu called Aromas of Northern Arizona, which is tweaked about three times a year as ingredients go in and out of season. He’s already thinking about foraging as far down as the lower desert this coming winter. The man gets more than a little excited about his discoveries. One year, he found bright-red chokecherries (once a Native American staple, he explains), but it was too late in the season to gather them. The following year, after watching and waiting patiently for their arrival, he gathered up all that he could carry back to the restaurant, making vivid sauces with them all summer. 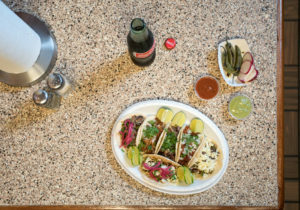 This summer, he even ventured into the Verde Valley to gather agave flowers, which he ferments and serves with cucumbers in a salad that also contains local lipstick chili and agave crème fraiche. 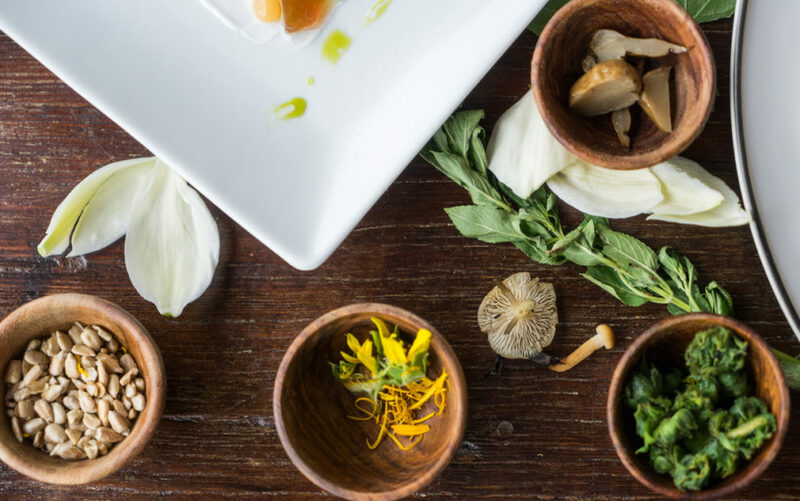 As summer’s bounty wanes, Konefal begins pickling and preserving the foraged ingredients he still has on hand to get him through the winter, just the way our grandmothers and great-grandmothers did so many years ago. 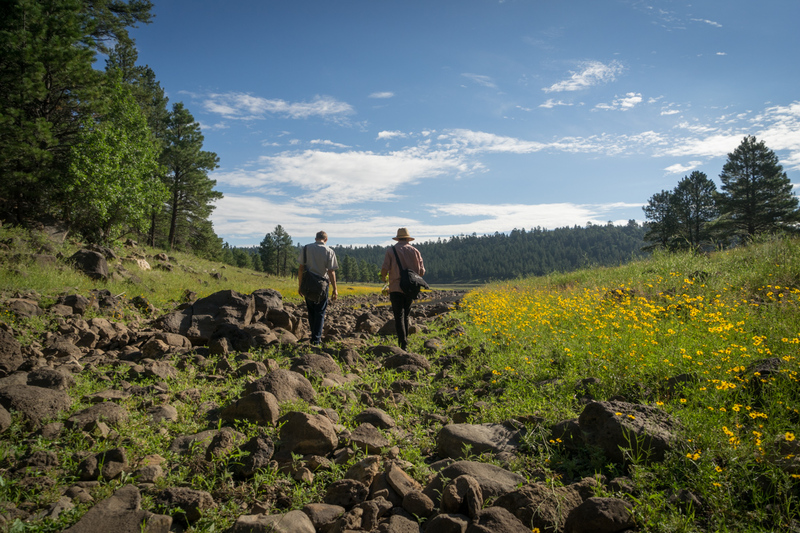 Meanwhile, the mouth-watering Instagram pictures of the food he and his crew have gathered serve as both a moment-in-time love letter to Mother Nature and a siren call to those of us who want to drop whatever we’re doing and drive to Flagstaff for dinner. 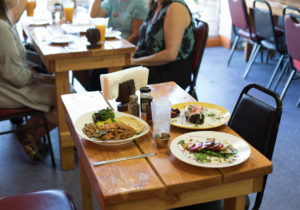 Konefal, who has not only survived, but also thrived in a restaurant market geared toward the average college kid, swears he’ll never leave Flagstaff. Of course, he could and would do very well in any big city. But he knows full well what he values more than fame and fortune: Flagstaff’s gorgeous surroundings and his own ability to present that beauty in edible form on the plate. The wildly interesting, hyper-local dishes he creates make life more interesting both for him and for his customers. Konefal, it seems, yearns for something a little more meaningful, but he’d probably forgive you for simply wanting to shut up and eat. 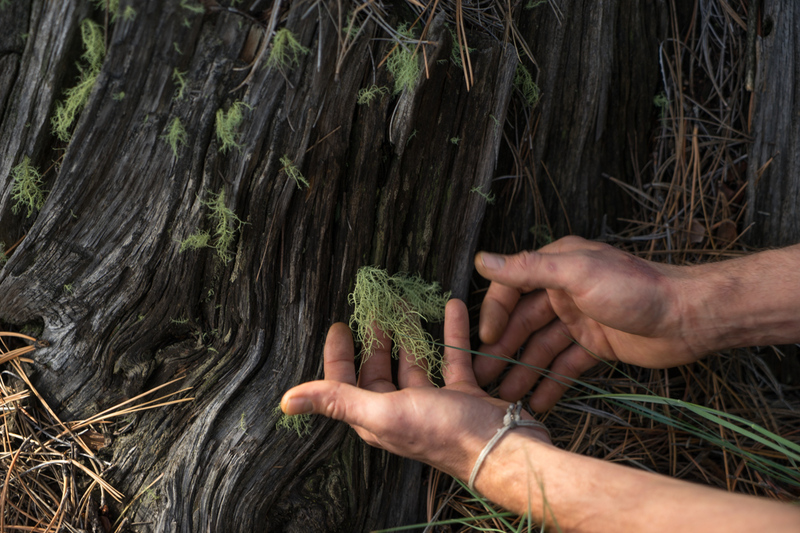 Watch Konefal forage the woods of northern Arizona in “Earth,” the third installment of “Elements,” a collaborative film + photo series produced by Food Talkies and Bite Magazine designed to elevate the storytelling experience.